FDCE offers a full turn-key service including: seed bed preparation, procurement of the highest quality seed in the industry, chemical application and planting services. 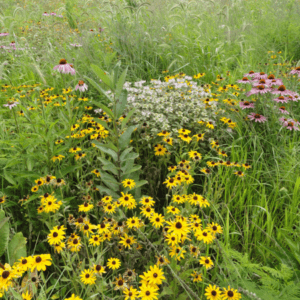 With more than 360,000 acres of experience and a consistent year over year 97% success rate, we have the expertise to successfully establish your native grass and forbs projects. Superior Seed: We procure the best seed available, reprocess it to enhance purity and stratify it to greatly increase seed germination. All of our seed is specifically tested for Palmer amaranth. FDCE will not plant any lots of seed that test positive for Palmer amaranth. Micronutrient Enhancement: We add our Essential Micronutrient Enhancement Blend to increase germination. Specialized Custom Equipment: Our 30′ drills are re-engineered by FDCE to provide proper and consistent seed placement. Custom Herbicide Application: We execute a site-specific herbicide program to minimize weed competition and enhance establishment. FDCE is dedicated to the responsible use of herbicides for habitat management. We have been delivering dose-specific herbicide on native grass establishments since 2003. 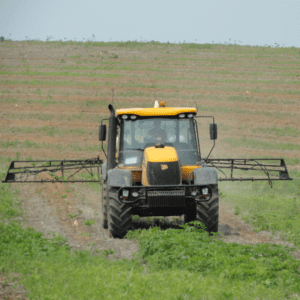 Our herbicide application services include: CRP and ACEP (WRP), forestry, right-of-way and other specialty applications for mid-contract management. CRP Herbicide Application: We have multiple pull-type 60′ boom sprayer units for large CRP conversion and mid-contract management projects. GPS helps to validate field coverage. Forestry Application: We have custom-built equipment to simultaneously spray up to 4 rows of trees; increasing efficiency and reducing soil compaction. Low Volume Backpack Application: We were on the forefront of the first successful low volume backpack application for utility ROW managers and developed many of the production protocols now used in the utility industry. Precision GPS Technology: All projects are mapped and monitored using RAVEN GPS technology. Professionally Trained Experienced Staff: We have applied herbicide on over 390,000 acres since 2003. Environmental Safety: We use closed extraction refillable and reusable plastic drums to eliminate spillage and reduce waste contribution to landfills. FDCE provides every technical and chemical component required for CRP mid-contract management for native grasses including: tilling, spraying and interseeding. With more than 360,000 acres of experience, FDCE can meet your needs for mid-contract management of CRP, CREP and other native grass establishments. Systematic Execution: We provide and execute USDA prescribed mid-contract management practices in a systematic manner. Specialized Custom Equipment: We have a full fleet of custom equipment to complete tilling, spraying and interseeding. Custom Herbicide Application: We execute a USDA prescribed herbicide program to minimize post treatment weed competition. 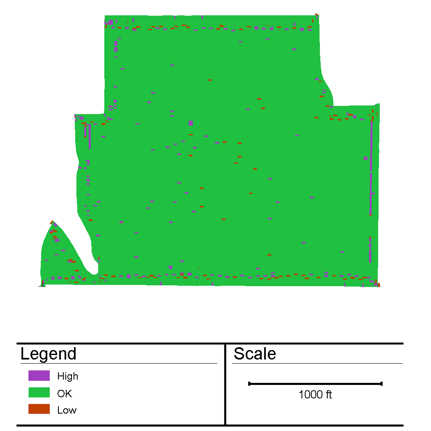 GPS Validated Acreage: Acreage is monitored and documented by GPS and prevents skips or overlaps and ensures proper dosage. Experience: We have 4 full-time experienced management staff including 2 certified wildlife biologists available to help landowners understand and complete their establishment obligations according to their contract requirements. Our field crew chiefs and tractor operators have thousands of hours of establishment experience. Products & Equipment: We select the best seed available and test it for all pigweed species including Palmer amaranth. We provide custom seed mixes to exceed NRCS requirements at an economical price. Our equipment is designed to plant seed at proper rates, depth and species distribution. Additionally, our GPS system controls herbicide application rates and maps all projects. 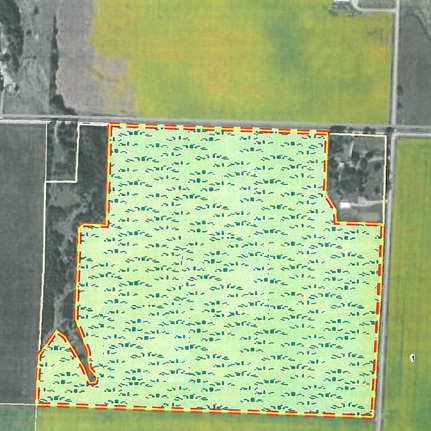 Reporting: We will provide a professional invoice and production addendum (example) for all projects which includes component code breakdown, GPS map, herbicide/ planting report and seed tags. Free Quote: We will work with you to develop a timely and accurate quote. Payment Options: We have a number of payment options to help you reduce your out-of-pocket expense. Reference List:: We have a number of quality references from resource professionals and customers.